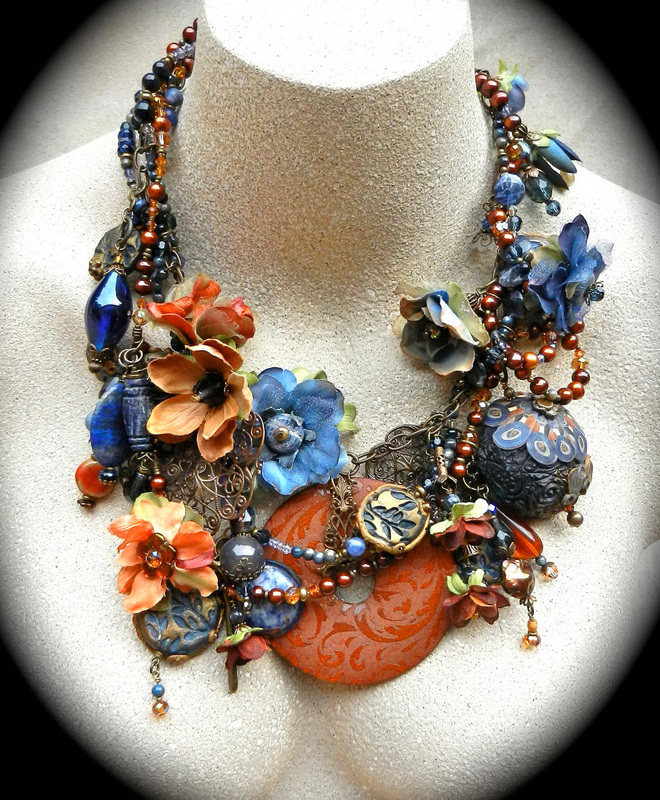 Cindy Caraway is jewelry artist from USA. She makes unique jewelry in different techniqes and use beads, seed beads, fabric, metal alements, plastic sculptures and so on. 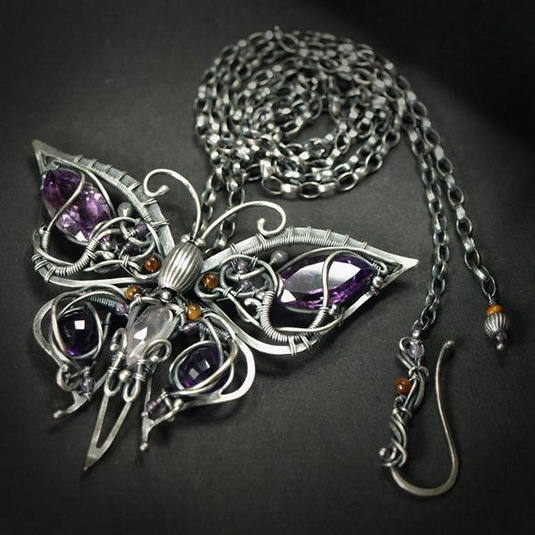 Karen Taylor is jewelry artist from USA. She makes beautiful tender floral jewelry. 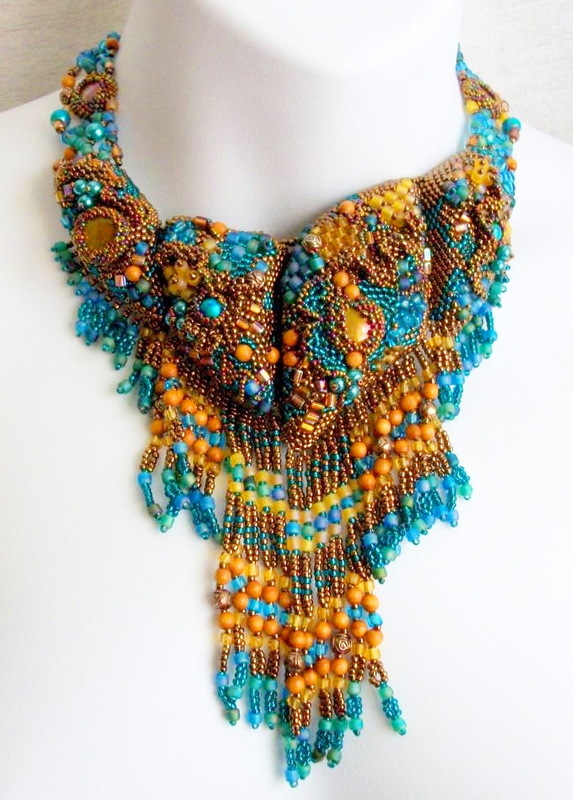 She use in her work textile, different kinds of fabric, metal and plastic elements, beads and gemstones. Agija Rezcova is talanted jewelry artist from Latvia. 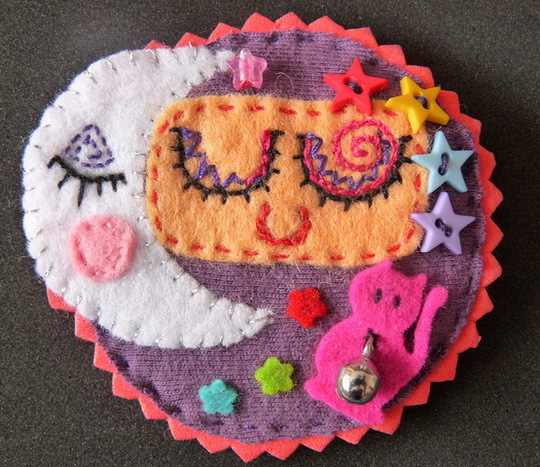 She makes amazing brooches, necklaces, bracelets and original womens ties. 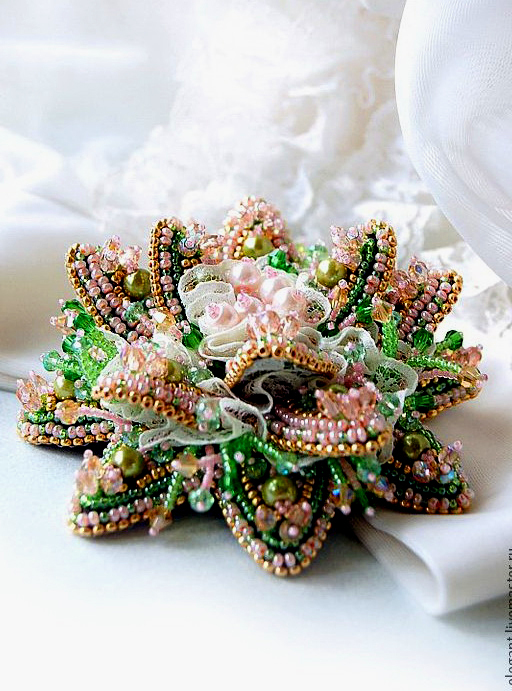 Usually she uses bead embroidery with different materials – beads, soutache, textile, gemstones, metal findings. Every her work is unique and special.